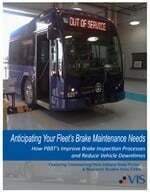 The American Bus Association announced the formation of the Bus Maintenance and Repair Council (BusMARC), whose mission is to raise the level of maintenance awareness in the intercity bus and motorcoach industry, providing shop managers with the tools they need to build and improve their existing programs. The new council is being created because ABA and its members believe there is a significant need in the motorcoach industry to assist companies, of all sizes, when it comes to collaborating on maintenance and repair issues. Industry and government officials understand that well-maintained motorcoaches, on regular maintenance cycles, are the safest vehicles on the road. BusMARC will bring together experts to collaborate on these maintenance issues, and ABA believes it will enhance safety for the hundreds of millions of people who travel by bus each year. The council also seeks to improve the relationship between motorcoach owner/operators, company maintenance directors, operations staff, and the Original Equipment Manufacturers and businesses that make and supply replacement parts to the industry. BusMARC's first chairman will be Mike McDonal, GM of the Maryland-based motorcoach company Eyre Bus Tour and Travel. McDonal is a past chairman of the Bus Industry Safety Council and currently serves on a number of key industry-related committees. The first meeting of BusMARC will be held in conjunction with the ABA's Marketplace, Jan. 9 to 12, 2016 in Louisville, Ky.